Cell Site Analysis: from undermining the alibi of IAN HUNTLEY in the SOHAM MURDERS, the reconstruction of the location of suspects in the famous ‘RETTENDON ‘RANGE ROVER MURDERS’, to the production in the recent ’21/7 TERRORISM TRIALS’ – CELL SITE ANALYSIS (CSA) evidence has become an essential tool for investigators of serious and organised crime. Afentis Forensics provide independent and professional services for all aspects of Cell Site Analysis (CSA), radio frequency and Call Mapping (CM) – whether examinations are historic in nature or concerning ‘live’ data/subjects. 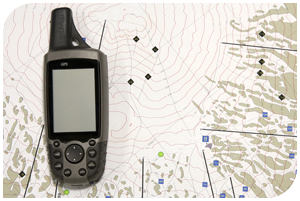 ‘LOCATION MAPPING’ is an important process in cell site analysis investigations, determining the actual operational footprint of individual and groups of telecommunication masts, cell sites, and radio signal antennae. Comprehensive drive trials and static measurements can be carried out around a specific route, at the scene of crime, within a suspect’s home address, or across an entire postal-code area. These trials measure actual mast coverage (radio frequency propagation) utilising sophisticated radio signal data assessments, accurate positioning – confirmed via satellite triangulation – and powerful analytical tools. The gathered information is used as the basis for producing detailed coverage maps, where the ‘spheres of service’ and ‘field strength surveys’ for individual cell sites are illustrated in graphical form. Cell Site Analysis information can be used to test an alibi – if for instance a relevant signal cannot be obtained at a specific location then it may not be possible that the user was using the phone in the location they are suggesting. Maps are available in many formats including aerial photography, OS ranges, A-Z street-maps, or as a ‘PowerPoint’ presentation. Cell Site Analysis can be used to generate representations that clearly illustrate the most likely position for a communication device at a specific point in time – or even to provide an indication as to the route taken by an individual. How accurate is Cell Site Analysis? This is a common question and there is no short answer. A number of factors come into play, including the type of signalling technology used (GSM/UMTS/CDMA), the local topology (man made or natural obstructions), the height of the antennae, type of CDRs available, physical location of other masts, angling of the transceivers, and degree of network activity (other subscribers). In some instances Cell Site Analysis can be accurate to a few metres, or sometimes a few streets (approximately a postcode). However, the technique remains an extremely powerful tool to test an alibi, to show that a number of people were together at a certain time, or to highlight the fact that a suspect was at a crime scene. Our cell site analysis experts contribute to a number of leading working groups as well as undertaking constant research into these spheres, to ensure our approaches to Cell Site Analysis (CSA) remain in touch with Best Practice. Investigations are undertaken in strict compliance with ASSOCIATION OF CHIEF POLICE OFFICERS (ACPO) Guidelines for managing and evaluating digital evidence. We are actively implementing quality management systems to achieve compliance with ISO 17025 and practice recommendations from the Home Office Forensic Science Regulator Telecommunication analysts at Afentis Forensics have access to the very latest in electronic evidence tools and techniques – including the world’s most advanced CELL SITE ANALYSIS HARDWARE investigation system; engineered exclusively in-house and utilised by investigators and police forces around the world. The findings of all cell site analysis examinations can be documented in comprehensive Expert Reports and supported by certified and experienced Expert Witnesses that can deliver clear testimony in either civil or criminal court proceedings.